This report finds out how the combined application of behavioral science, data-driven strategies and optimization can address the key challenges EdTech firms with Mobile solutions face in their journey from downloads to impact. The report is based on the hands-on work Gray Matters Capital (GMC) mentors did with the 8 cohort companies during the GMC Calibrator program, the behavioral blueprint and user labs conducted in conjunction with Behavioural Architecture expert firm, Final Mile Consulting, the user testing with 2000+ users enabled by Career Launcher (CL Educate) as well access to their cohort’s customers and insights from 42 Education entrepreneurs apart from market data analysis and expert views. The Atlas of Innovation for Economic Stability presents 63 examples of policy, program and technology innovations that promote economic stability for individuals, communities, firms and countries, with an emphasis on the welfare of poor and vulnerable people worldwide. The report found strong and diverse innovation in India, Kenya and the United States. Indonesia stands out for the use of data and innovation tools in government, and Brazil ranks high for public safety-related domains. The majority of innovations are privately provided and enabled by mobile technology and data, although FHI 360 identified several pockets of significant government and donor participation in catalyzing or scaling innovation. This publication was funded by The Rockefeller Foundation. University accelerators and incubators made up the largest portion of the respondents, at nearly one-third. Two-thirds ran their first acceleration or incubation program after 2013. Over half of the respondents indicated a focus on energy or environment. Three-quarters work specifically with ventures that have a social or environmental impact objective. With a median size of 9 and an 11 percent acceptance rate, cohorts were small, programs were selective, and early-stage ventures were mostly likely to receive support. One-third of the government-supported respondents received funds from the Department of Science and Technology. Questions or comments? Contact Devyani Singh at devyani.singh@aspeninst.org. This study assesses and compares the benefits of electricity service to households and small enterprises from microgrids, solar home systems (SHS), and the national grid in select rural communities in India and Nepal. Electricity access, in general, leads to reduced kerosene use, more time spent by women on income-generation, and the acquisition of home appliances. However, different types of systems have distinct differences in electricity service conditions. These conditions partly explain why households with SHS exhibit the greatest reduction in kerosene use; why grid-connected households own more appliances; and why electricity access benefits small businesses, but seldom drives key business decisions. The developmental impacts of rural electricity access may benefit from supply standards, greater policy support for investments in productive uses, and further research into the cost-effectiveness of electrification from different supply systems. 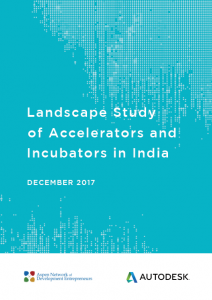 Building on Nesta’s 2014 Good Incubation report, this research draws on case studies to highlight strategies for good incubation in challenging environments. It focuses on weaker entrepreneurial ecosystems and offers advice to incubation managers and other ecosystem players, from policymakers to funders alike. Since 2002, the World Bank has collected firm-level surveys of a representative sample of an economy's private sector. To date, this has resulted in data that covers a broad range of business environment topics including access to finance, corruption, infrastructure, performance measures, and more. The Enterprise Surveys team has recently released five country highlights: Ghana, India, Namibia, Sweden, and Tanzania. The country highlights are two-page summaries of key findings from each survey, and provide a great overview of priority issues in each country's business environment. More reports are available for download on the Enterprise Surveys website.